A mixed bag of peace and fear flooded my mind as I sat watching Micah and Kaleb opening their gifts from family on Christmas morning. As smiles, laughter, joy and wrapping paper filled the room my mind was a battle zone. I wanted to smile and I wanted to cry. Even though October, November and December were some of the most interesting, and intense, months we’ve ever navigated as a family, I can say that we were at a place of indescribable peace as we navigated the implications of the elimination of my position with Motor Racing Outreach. Yet alongside the peace I would not be painting the full picture if I did not also say there was a weight upon our shoulders as well. Purpose. Security. Direction. Worth. Pride. Future. They were all sitting on my shoulders as a nagging weight, a weight that the peace held the burden of, but it was present and persistent nonetheless. On December 21st, as I sat in a conference room, I felt the tangible, pressing weight lifted from my shoulders as I was offered the position of Chaplain at Lee Company. For the first time in almost three months my shoulders were light again. I was refreshed, I was energized and I could not wait to step into the new year to move forward in the opportunities God was leading me to. Full of excitement and thankfulness, we loaded up to spend Christmas in Clarksville with Michelle’s side of the family. With a mind that was fully free, I sat in Clarksville the next morning and realized my eyes were not as clear as my thoughts. (It is amazing what you will neglect when you live life on the road, one of those things being eye care.) I was operating on a 4-year old prescription and I thought now was just as good of a time as any to head to the mall and utilize my insurance benefits before the end of the year. I eventually found myself sitting in the exam room chair, following a barrage of the ‘usual’ eye tests and imaging, waiting for my turn with the optometrist. As the door opened I was immediately confronted with a question. How do you answer that? Well yeah, who doesn’t? But nothing significant or anything that stands out. No, no that definitely is not me, but by this point in time my interest was piqued as to why my visit with the optometrist was going this way. I inquired as to why these questions were coming up, and her response shook me to my core, completely changing the course of our next few weeks. That was not how I expected my eye exam to go. I sat stunned trying to process what I had heard. Either a stroke, or a mass in my head? Merry Christmas Kyle. My next step was a visit to the clinic to check my blood pressure, vitals and run a few blood panels. Thankfully, or regrettably, my blood pressure was perfect. This ruled out one of the two options, and really, option number two scared me even more. As I spoke with the Doctor at the clinic she assured me there likely wasn’t much to worry about, sometimes images can be ‘over read’. But for sake of peace, she said, let me take a look at your nerves as well. That was not the peace and assurance I was hoping for. With that, I was sent home to wait out the Christmas holiday until I could get into an ophthalmologist the week after. I was left to navigate my favorite time of year wondering if in the recesses of my mind there was a silent killer. It is amazing the torture that can happen in your mind in the moments of quiet. It is amazing how the lies of satan can barrage you in moments of weakness and fear. So as I sat on Christmas morning watching the boys open their Christmas gifts, when the still voice of God spoke “what I bring you to I’ll bring you through”, I felt peace, but I also felt terror. I felt as if God was confirming my worst fear while assuring me He would be with me through it. The next six days awaiting for my ophthalmology appointment were agonizing as a battle raged in my soul, my recently lightened shoulders were now heavier than ever before. As my ophthalmology appointment came and went, my fears were not quenched. The ophthalmologist shared he was seeing one of two things, either drusen on my optic nerves (which likely only affect peripheral vision, but in very rare cases can affect total vision) or intracranial pressure (papilledema) causing my optic nerves to swell. If it was indeed pressure, since my blood pressure had been ruled out, it had the potential to indeed be a mass. He felt like it was drusen, but he could not be certain. He was referring me to a neuro-opthamologist at Vanderbilt Eye Institute who specialized in that neuro-pathway to the brain. Because of the New Year’s holiday it was another 6 days of agonizing. Six days of fear. Six days of worry. Six days of ‘hearing’ the lies of satan. Six days of ‘blindness or tumor’. There were some moments of peace, and there were some moments of emotions I didn’t know I could experience. I could write for six more days just on my processing of those days alone. All the while I was desperately clinging to that promise in my spirit, “what I bring you to, I’ll bring you through”. On the day my neuro-opthamology appointment finally arrived, I had navigated nearly every emotion that God has made available to us and prepared myself for whatever the outcome may be as a I headed into my nearly 5-hour appointment. Several shining lights, visual field tests, images and ultra sounds later our family of four found ourselves in the small exam room awaiting our doctor as he finished reviewing all of his findings. When the door opened the final time I don’t know that I was able to breathe until the doctor began speaking. He showed me some of the images and explained some of the findings…to share that everything was pointing towards drusens rather than papilledema (intracranial pressure) and that I could take the ‘tumor fear’ out of my mind. A wave of relief swept over me. While not completely innocent, drusens were certainly a best-case outcome in my particular instance. They have created a few very minor permanent blind spots in my peripheral, but their risk is low and annual monitoring should be all that is needed at this point in time. Ever since then I’ve been left to look back and process how I navigated the weeks behind. My understanding of myself under pressure has shifted and the areas of growth that I need to walk through are obviously evident. 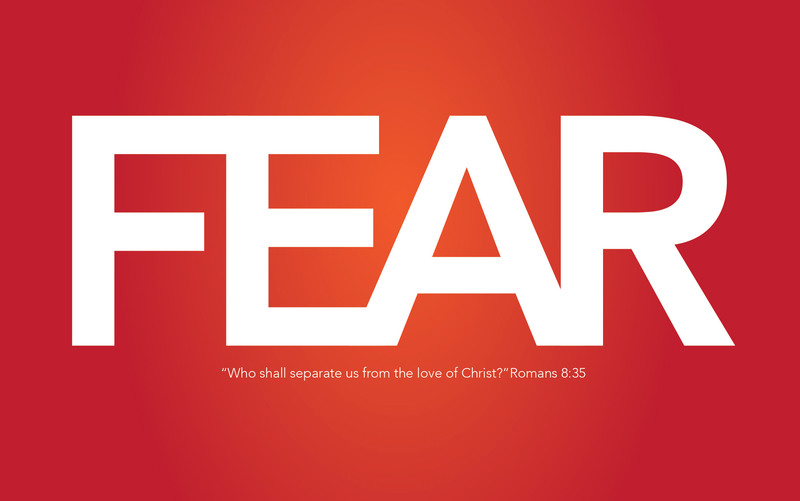 My understanding of fear is through a new lens and my awareness to just how overwhelming the lies of satan can be are dramatically heightened. My trust in God’s voice has been strengthened and my love for my family has been deepened. I understand that God’s promise, when he speaks it, is relevant and real, and that we should never ‘read between the lines’. What I felt to be God confirming the ‘worst’ for me through His promise was simply God assuring his presence with me, regardless of the outcome, as a part of His promise. Someone reading this has the same fear I’ve been navigating hovering over their head. It may be health related, it may be career related, it may be relationship oriented or it may be financial. But all of the options ahead of you look dramatically bad. Some of you will experience a seemingly positive outcome and some of you will not. Evil is just as active as God’s Kingdom, and it is seeking to destroy. Hurt, pain and suffering are very real. But in the end, what satan is trying to destroy is not ‘us’ as much as it is our faith through what he tries to do to us. He is wanting his lies to destroy our hope. To destroy our peace. To destroy our perception of God. To rob our relationship with God. For him to be successful, we only need to give him a foothold. But this is what I’ve come to find true. God is good even when life is not. God is redeeming even when life is broken. God is present even when sickness is gripping. God. Is. If my diagnosis would have been tumor instead of drusen, God would have been just as good. His promises would have been just as real. My security would have been just as much with Him.